After you have been in a car accident, insurance companies look at you as a liability. They know there is a possibility that they are going to have to pay you money for your injury damages and they want to minimize the amount they have to pay. 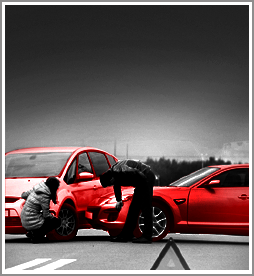 Insurance company agents and adjusters are trained to handle car accident cases. Ask yourself, what is their job? The answer is obvious. It is to look out for the insurance company. And the job of our personal injury lawyers in Charlottesville is to look out for your interests! Oftentimes, the insurance company agent or adjuster will make you an offer to settle your case before your injuries are healed or even before you know the full extent of your injuries. Do not be fooled. Once you settle your case, you cannot come back and make a claim for more damages down the road. When you sign, it is over! As experienced car accident and personal injury lawyers in Charlottesville, our job is to protect you, not the insurance company. Insurance agents do not like us because our car accident lawyers make them pay full and fair amounts. Whether you are in Charlottesville, Augusta County or Waynesboro, the insurance companies all operate the same way. Call us or e-mail us to see how we can assist you in obtaining the best possible result for your serious injury case. Contact the experienced car accident attorneys at the law firm of Wilson & Hajek. Personal injury lawyers in Charlottesville serving Augusta County, Waynesboro and all of central Virginia. Do You Need A Car Accident Lawyer? Contact the experienced personal injury lawyers at the law firm of Wilson & Hajek. His success rate is high. The verdicts are substantial. These cases have taken place in Virginia, West Virginia, North Carolina, South Carolina, Maryland, Florida, Ohio and Washington, D.C. (Cases are in state and federal courts.) Notably, Francis Hajek, along with co-counsel, obtained a record-setting $46 million jury verdict for an injured client. The verdict was for $46 million, but that amount rose to $60 million with interest. The defendant agreed to a confidential settlement and abandoned its appeal. This case reflects the dedication of Francis Hajek to his client, who suffered a permanent traumatic brain injury along with many other physical injuries after a train derailed and crashed into his workplace. The trial in Prince William County was over 3 weeks long. At Wilson & Hajek, every client is treated with the same dedication and personal service as we help you get justice. Experience counts and Francis Hajek has over 30 years of legal experience. Explore our website and learn how we can help you. You will receive personal service from an attorney using modern technology. We will work together to recover the maximum amount for your injury case. Mr. Francis Hajek represents persons in Personal injury cases, Auto and Truck accident-injury cases, Motorcycle injury cases, Railroad injury cases, FELA law, Asbestos Disease- Mesothelioma, asbestos disease cases, Cumulative trauma syndrome related injures in Charlottesville VA, Albemarle County VA, Louisa County VA, Fluvanna County VA, Augusta County VA, Nelson County VA, Buckingham County VA, Madison County VA, Waynesboro VA, Staunton VA, Orange County VA, Greene County VA,Culpepper VA, and West Virginia and North Carolina. Part I – How Bad Is The Problem? Part VI – Don’t Drink And Drive!